100 (and 50) Women just made our year! "Thank you" just doesn't do it justice. Words can't express our gratitude to the (now) 151 members of 100 Women Who Care Beaufort. 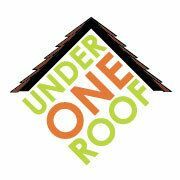 At their July meeting, the members voted for Under One Roof to receive their third-quarter donation. Each member gave a check for $100, meaning that Under One Roof was blessed with a donation of......$15,100! 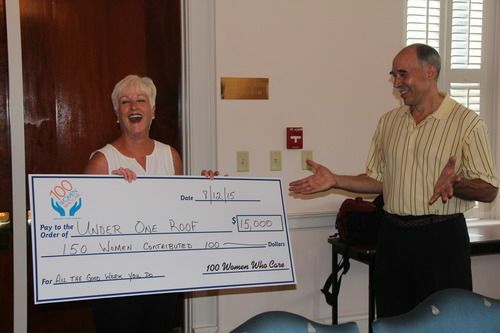 Jeneane Ryan, founder of the Beaufort Chapter of 100 Women Who Care and several other members of the organization attended Under One Roof's recent Board Meeting to present them with the donation. The funds will have a significant impact on the work that Under One Roof is able to do in the community, helping even more of Beaufort's Aging In Place Residents stay in their homes. We encourage you to take the time to learn more about the powerful organization 100 Women Who Care Beaufort. Our sincere thanks to these incredible women!